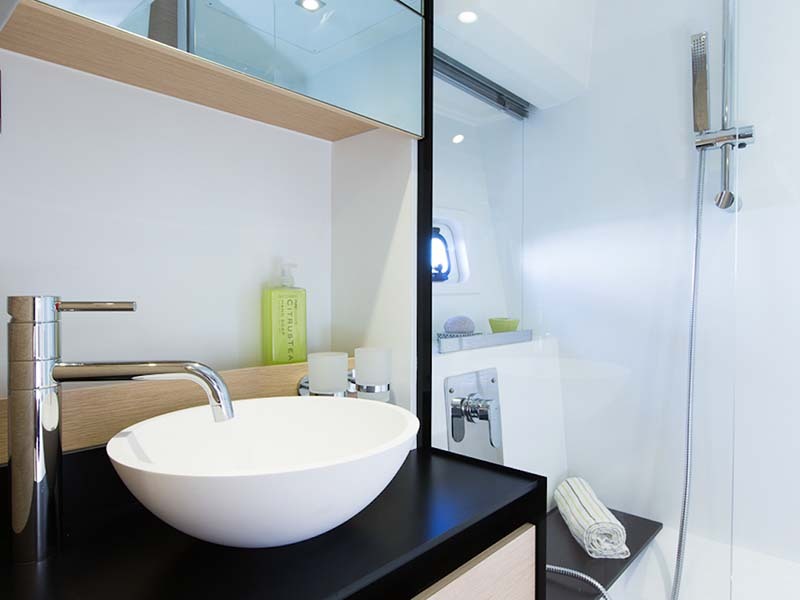 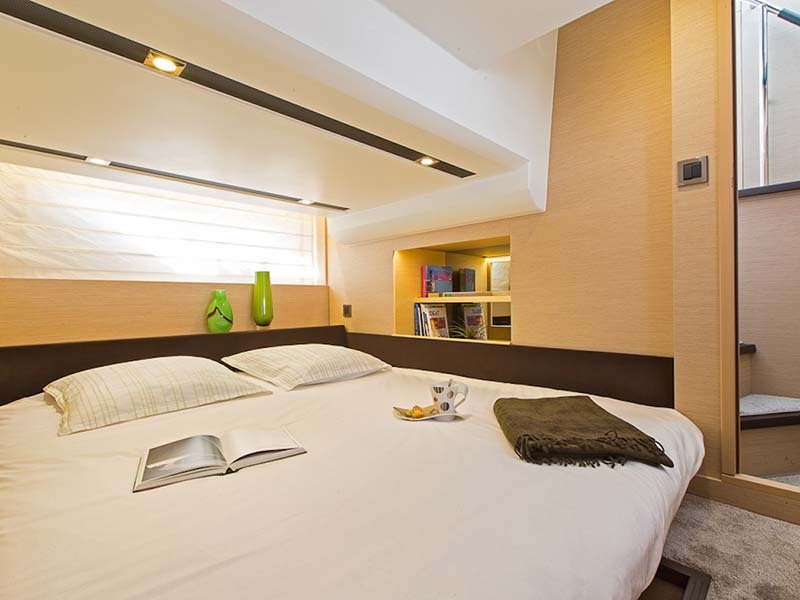 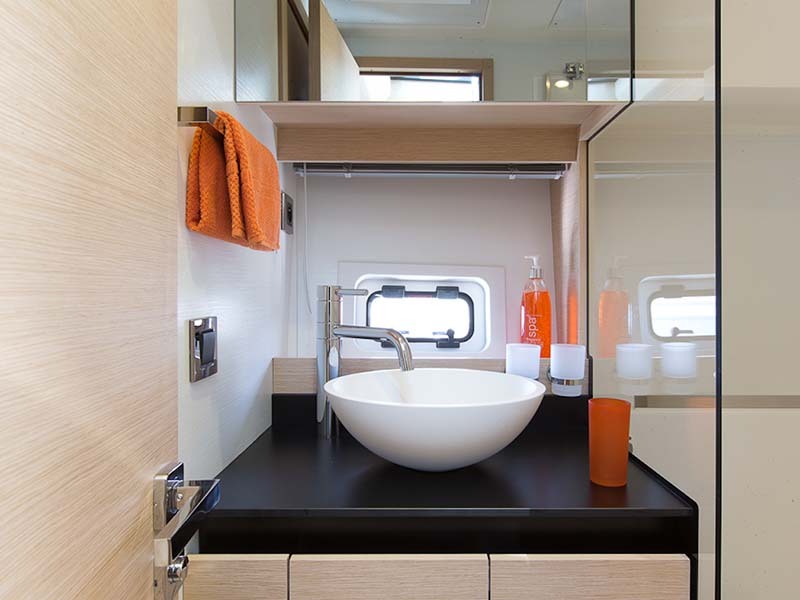 Spacious two stateroom two head layout with separate master entry and IPS pod drives. 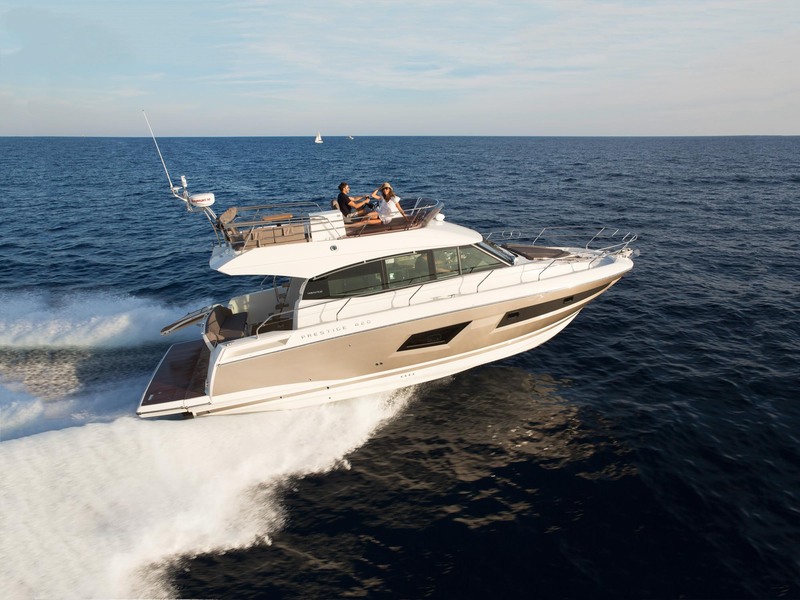 Following the trend of the latest PRESTIGEs, the PRESTIGE 420 benefits from a signature aesthetic that is dynamic and unsurpassed. 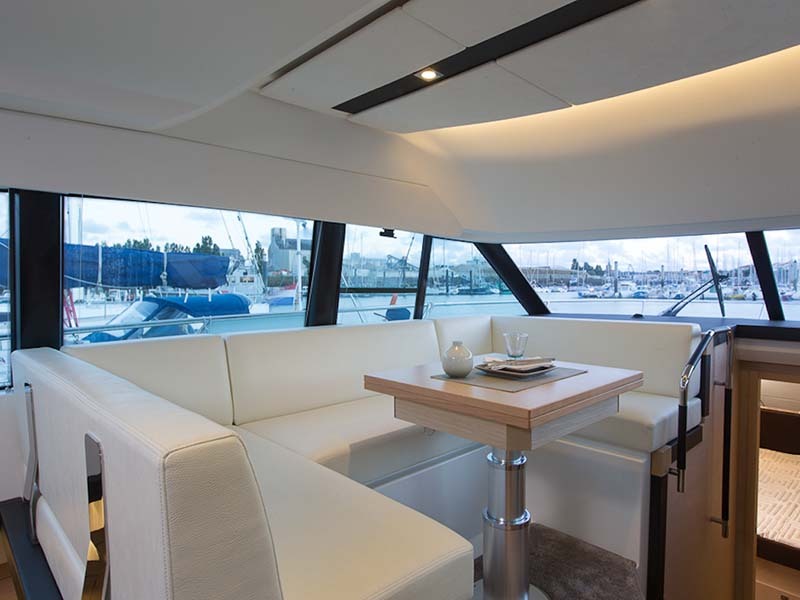 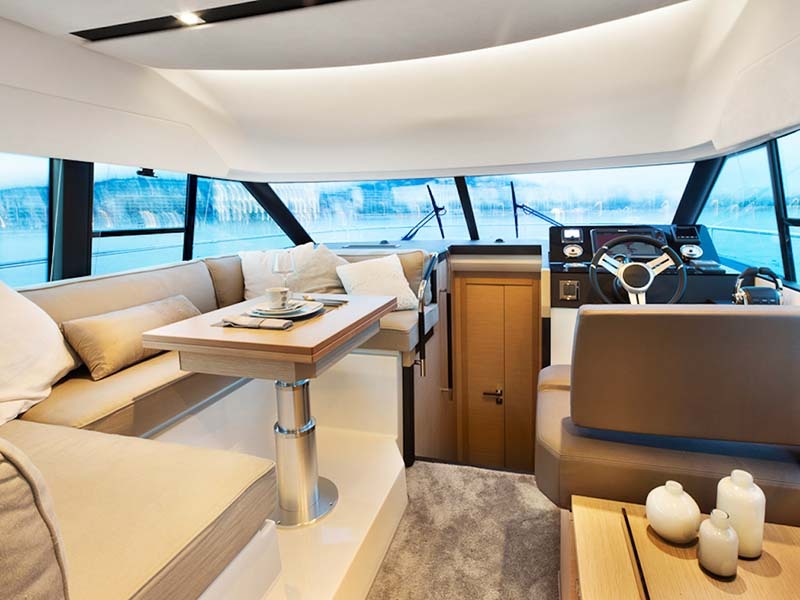 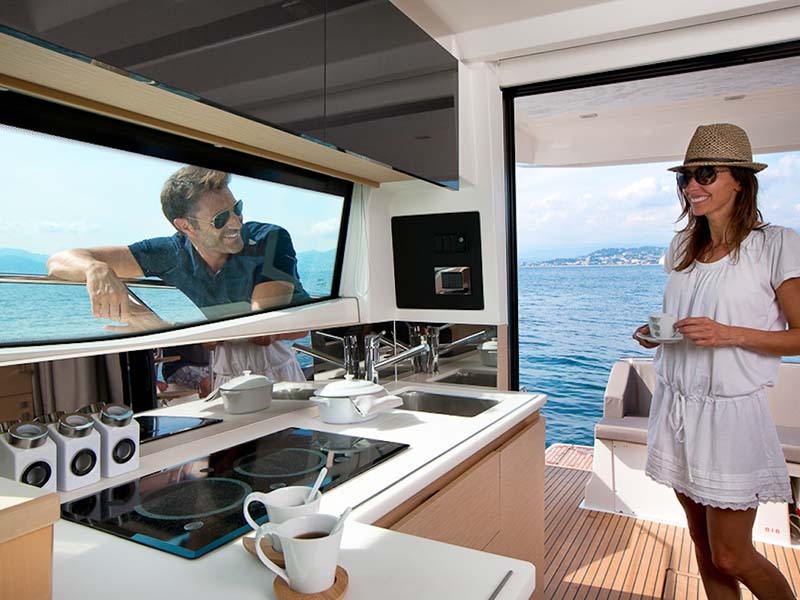 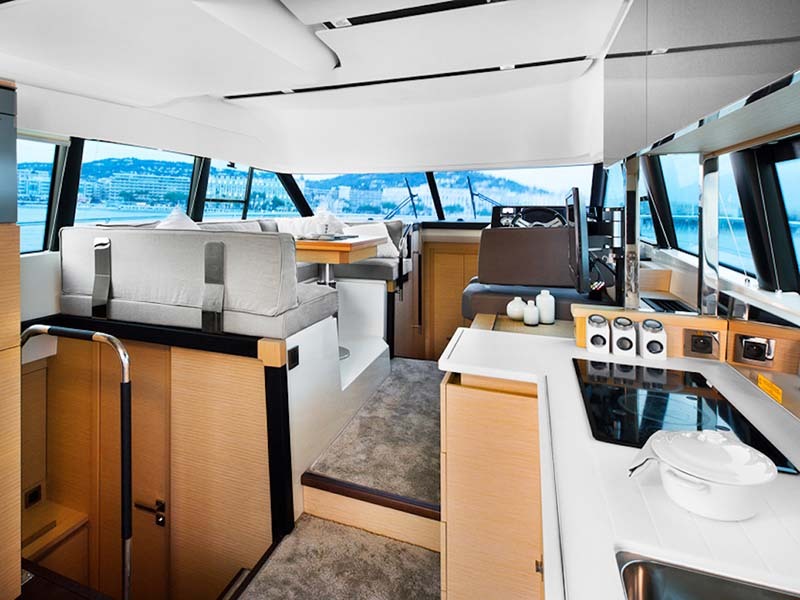 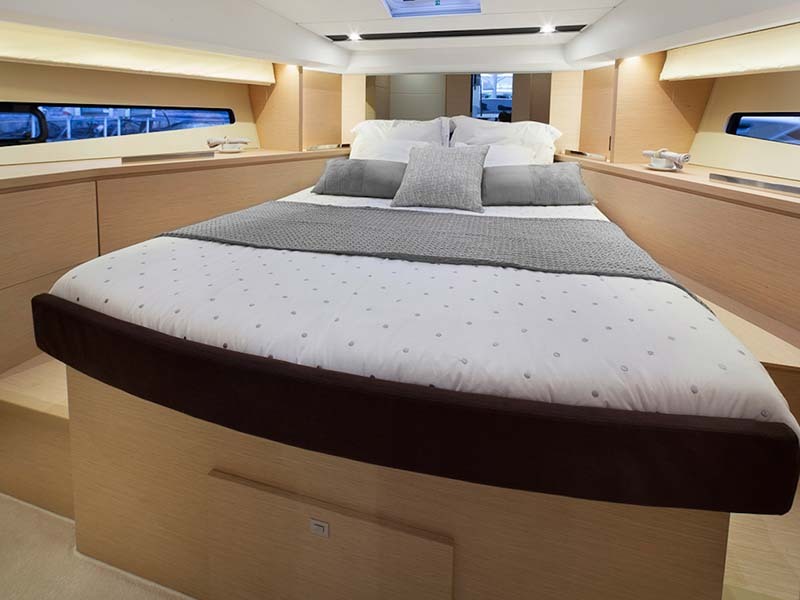 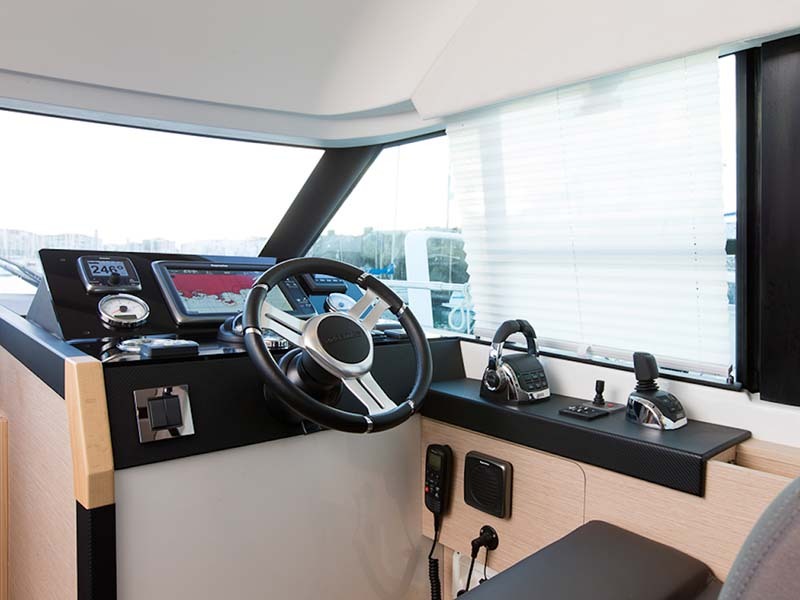 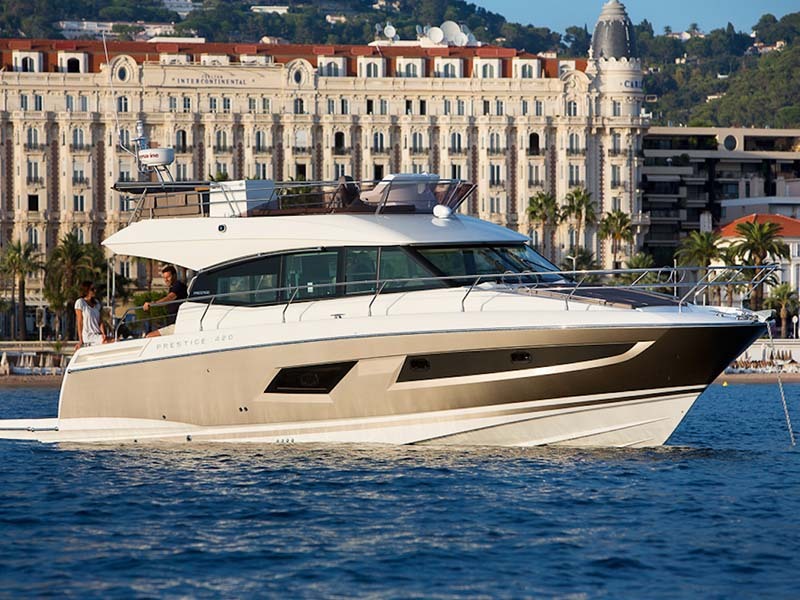 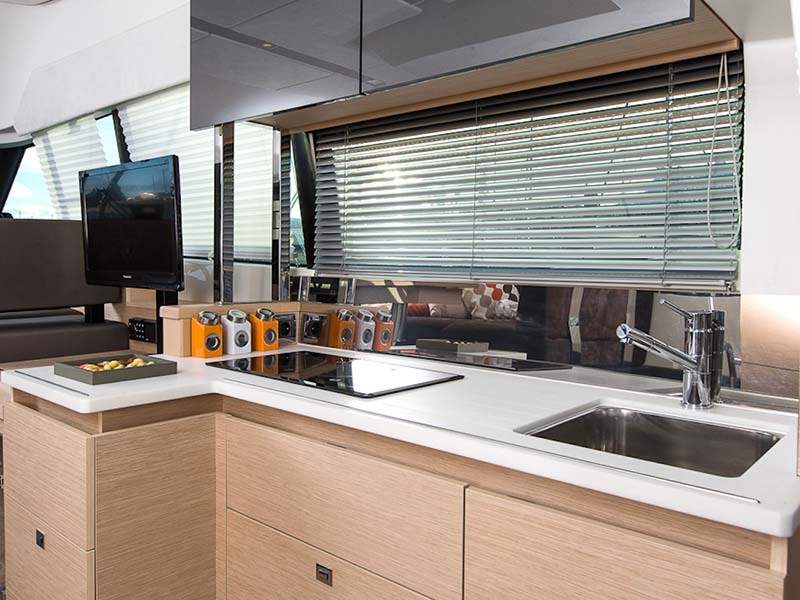 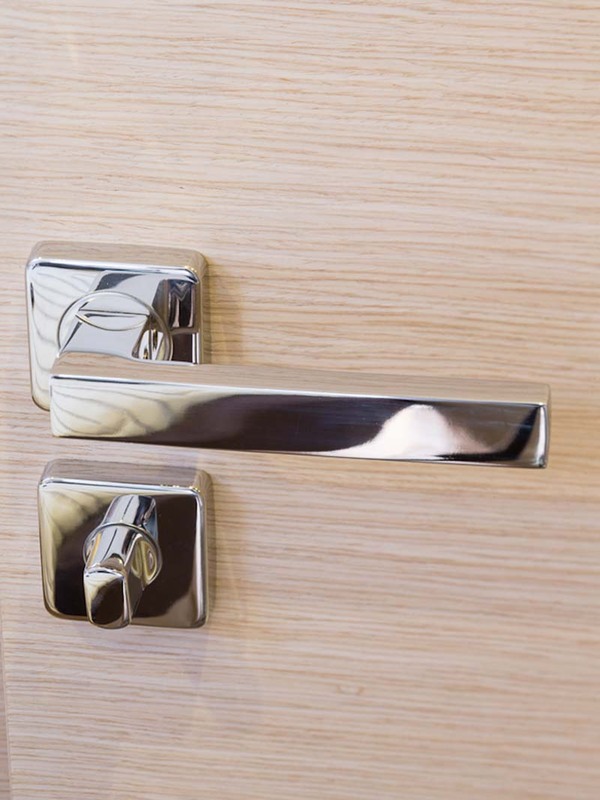 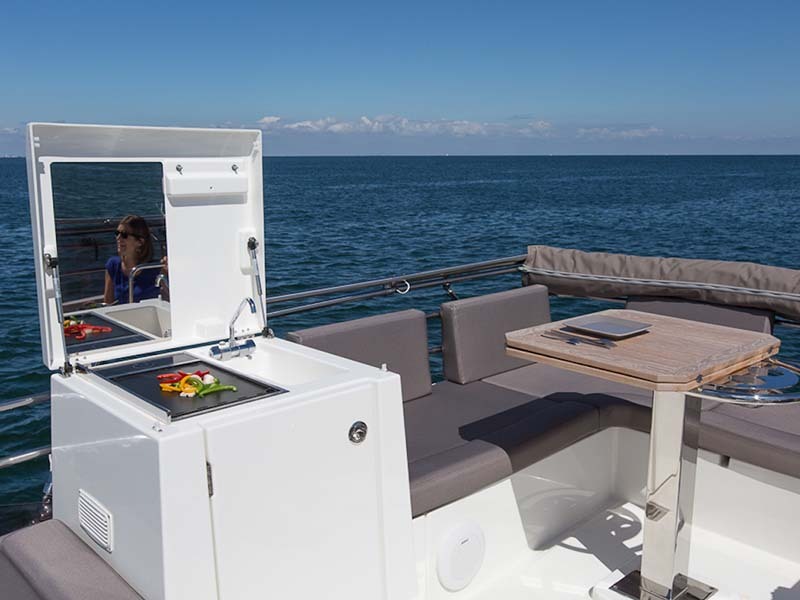 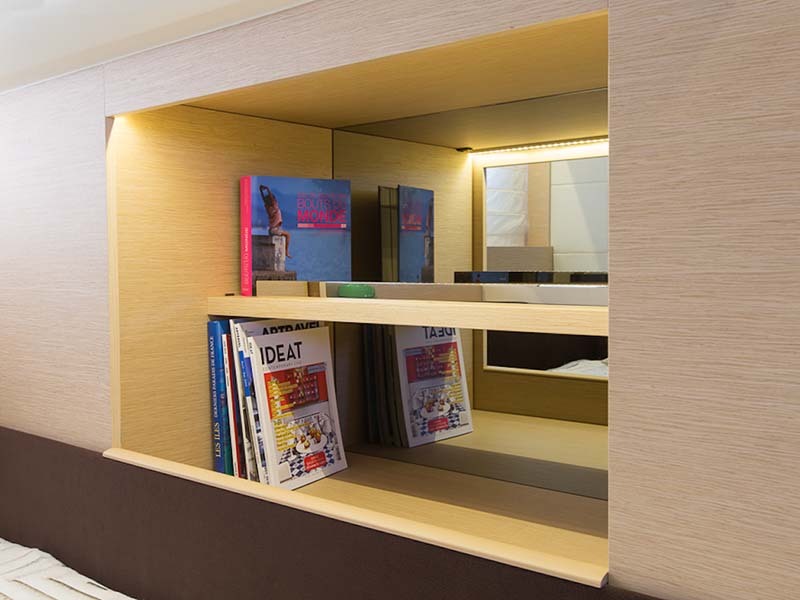 Highlighted on the exterior by her light Flybridge and timeless lines, the style of the GARRONI design cabinet is also beautifully expressed on the interior, cleverly combining the bright open living spaces on the main deck with the very private spaces of the two cabins with separate entrances, a unique feat on a 42-footer. 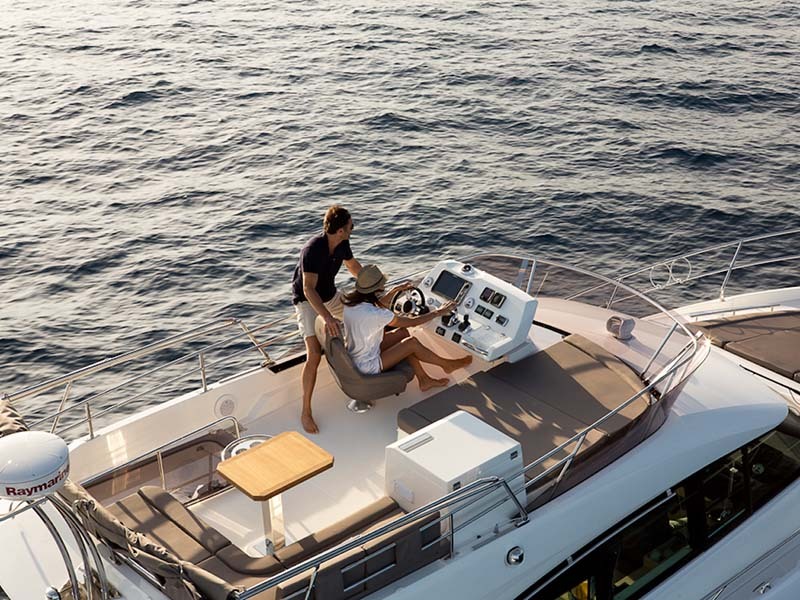 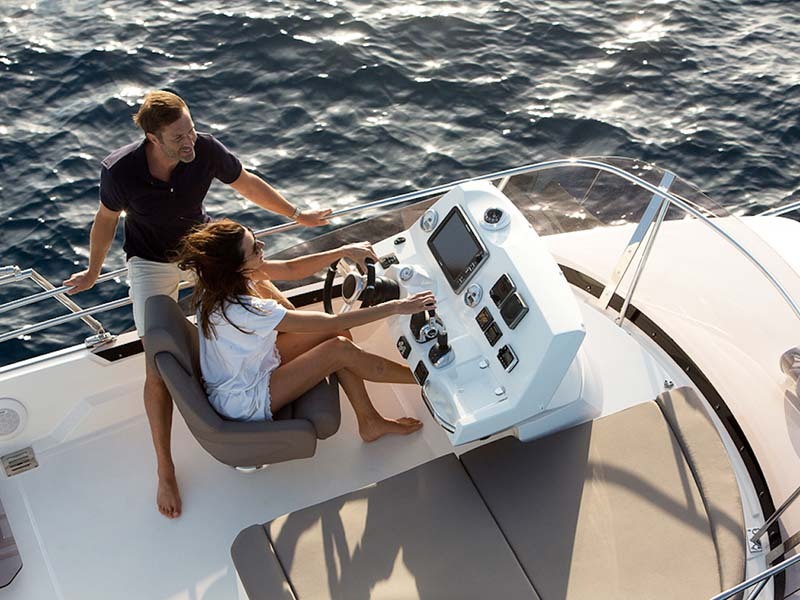 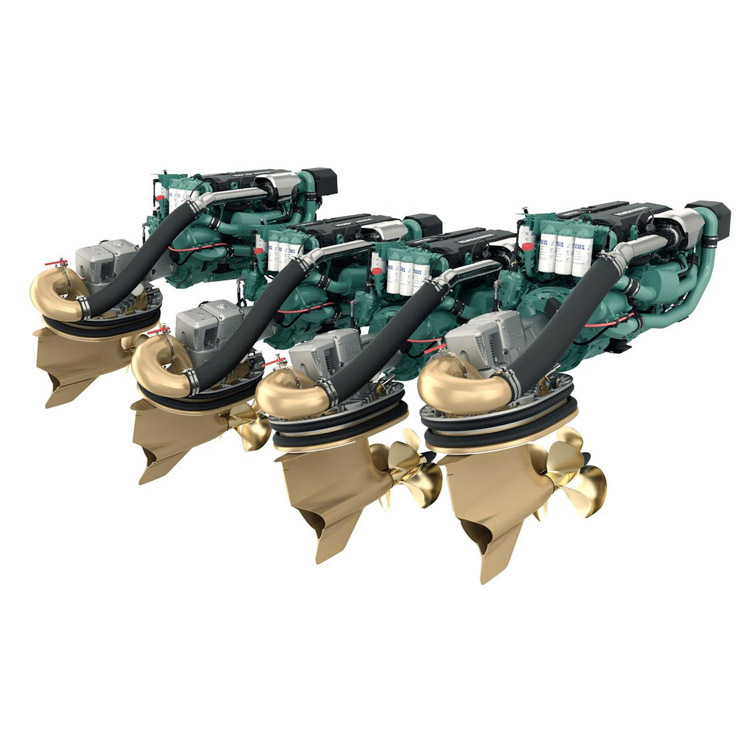 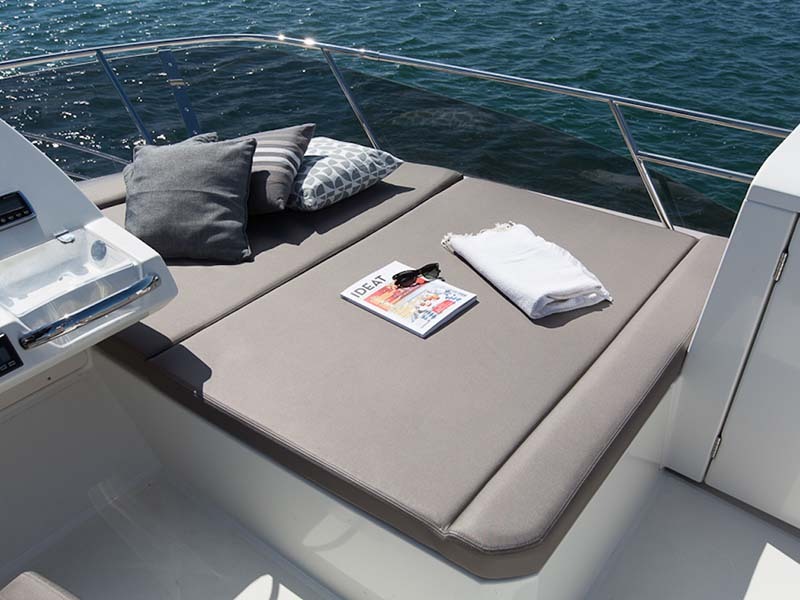 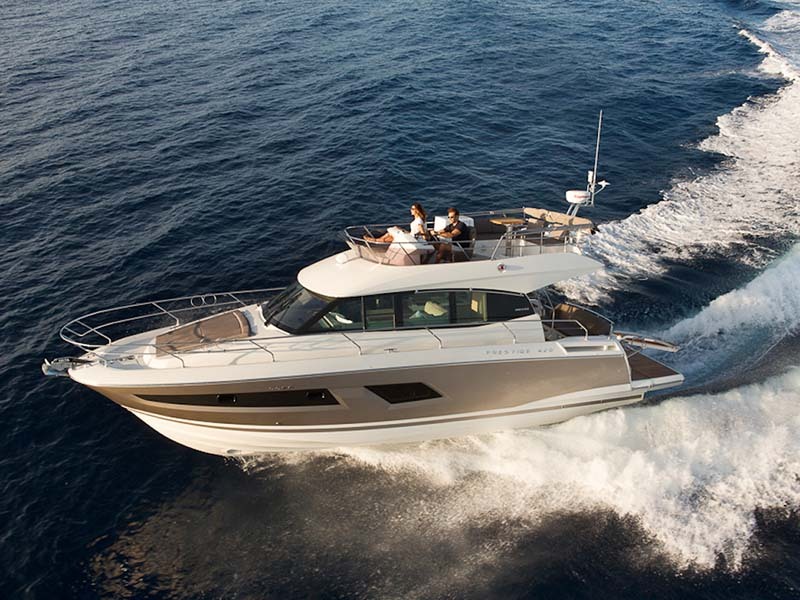 The secure and comfortable hull designed by Jernej Jakopin for the Volvo Penta IPS 400 engine delivers on its promises with exceptional sea keeping and manoeuvrability.